The Trump administration has said it is confident that "the toughest ever" sanctions against Iran which came into force on Monday will have the intended effect of altering the Iranian regime's behaviour, even as it dodged a question on whether the US has firm commitments from India and China to stop all oil purchases from Tehran within six months. 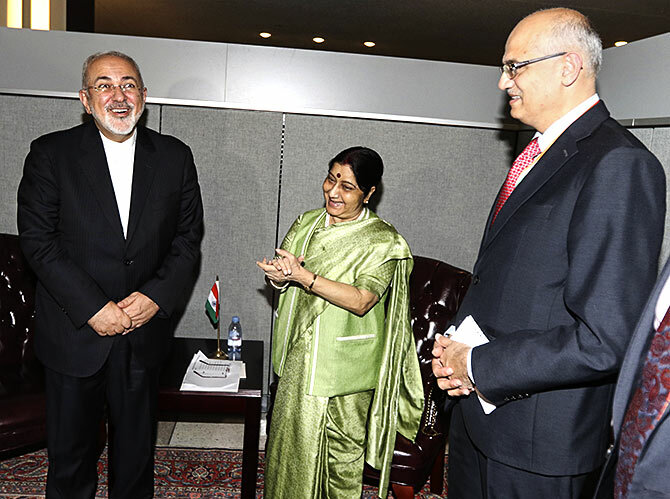 India and China -- the two biggest buyers of Iranian crude, have so far appear to have skipped the punitive American sanctions targeting the Iranian oil and financial sectors. US Secretary of State Mike Pompeo, during a a talk show on Fox News, repeatedly parried questions when asked about the commitment from India and China on zero-oil purchase from Iran. "Watch what we do. Watch as we've already taken more crude oil off the market than any time in previous history. Watch the efforts that President Trump's policies have achieved. We've done all of this, too, while making sure that American consumers don't suffer,' he said, as he avoided giving a direct answer on India and China. "I am very confident that the sanctions that will be re-imposed this Monday, not only the crude oil sanctions, that the financial sanctions that are being put in place by the Treasury Department and over 600 designations of individuals and companies in Iran will have the intended effect to alter the Iranian regime's behaviour. That's our expectation. It's the reason for President Trump's policy,' he asserted. India, which is the second biggest purchaser of Iranian oil after China, is willing to restrict its monthly purchase to 1.25 million tonnes or 15 million tonnes in a year (300,000 barrels per day), down from 22.6 million tonnes (452,000 barrels per day) bought in 2017-18 financial year, sources in New Delhi had said last week. The reimposition of US sanctions on Iran, Pompeo asserted are the toughest ever on this country.